For most fundraising events, the majority of your money should be raised through sponsorships. Without a strong focus on sponsors, your event will not reach its true potential. 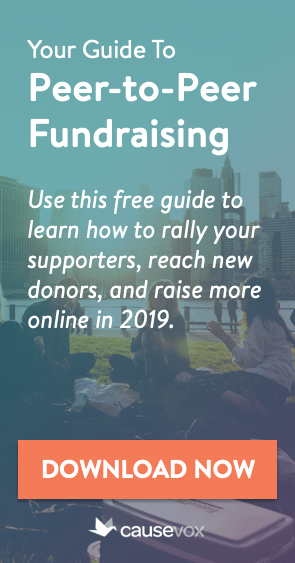 If you are setting an ambitious fundraising goal for your event, it will be far easier to reach that goal if you can raise 50%+ of the revenue from large sponsors than if you are trying to raise 100% through individual ticket sales. The first step to selling sponsorships for you event is to define your sponsorship levels and what benefits are included for each sponsoring company / individual. In defining sponsorship levels, be ambitious but realistic. Look at your donor file and the businesses you are thinking of contacting to understand what levels you can realistically expect to fill. If, for example, you are holding an event for the first time and your largest annual donor gives you $25,000 per year, don’t set up a title sponsorship for your event at the $500,000 level… you’re not going to get it. 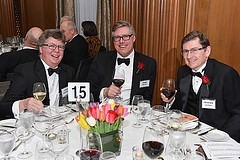 On the other hand, many organizations that do have large donors will hold annual galas and price their top sponsorship at $1,000 or $2,500 thus underselling what could be a very lucrative avenue for additional revenue. When setting sponsorship levels, look at your overall event goal. Assume that you will raise at least 50% of your overall fundraising goal through sponsorships (if not more). Thus, if you want to raise $100,000 from your event, your sponsorship goal should be in the $50,000+ range. Set your sponsor levels accordingly. In this case, you’d want to have a top sponsorship slot of at least $15,000 – $20,000 in order to reach your overall sponsor goal. Name your sponsorship levels in a way that highlights either your event theme or your organization’s work. 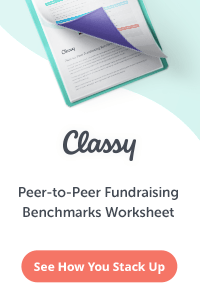 For example, if you are holding an event to raise money for a school, you could name your sponsor levels: Scholar, Essayist, Author, Contributor, Friend. If you are holding an event with a garden theme your sponsorship levels could be: Rose, Tulip, Petunia, Daffodil, Daisy. If you can’t come up with anything that ties into your organization or event, you can also use naming conventions like: Platinum, Gold, Silver, Bronze. Marketing Opportunities – What marketing and advertising opportunities can you offer your sponsors in return for their sponsorship? Event Benefits – What event benefits can you offer your sponsors in return for their sponsorship? Be creative in planning your sponsor benefits. 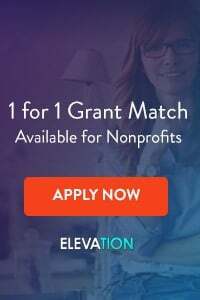 Not every sponsor will receive all of the benefits outlined above, and obviously the higher a sponsor’s donation is, the more benefits the company or individual will receive. I saw several ideas that I incorporated into our solicitation letter. Thank you for your help. Thank you for your suggestions. We are the Crisis Center of Central NH celebrating 40 years of service. I am looking for fun ideas for sponsorship names.